Trucking prices remain strong but seem to be stabilizing after recent chaos - Specialty Freight Services Inc.
United States truck pricing has soared over the past year. The combination of the Electronic Logging Device (ELD) mandate in addition to significant effect on the industry by hurricanes Harvey and Irma has led to high prices and no small amount of chaos. However, for the first time in 2018, trucking prices seem to be stabilizing—even as they continue to remain strong. There are multiple signs of stability. One of the first is the Trucking Conditions Index (TCI), which tracks changes representing freight volumes, rates, financing, fuel price, and fleet capacity. While not an ultimate statistic that can explain everything in a market, it is a good overall indicator of the U.S. trucking market. The August TCI reading was 10.24, the lowest mark of 2018. This represents a strong market, but its eight-month low is indicative of stabilization and market correction even as demand remains strong. 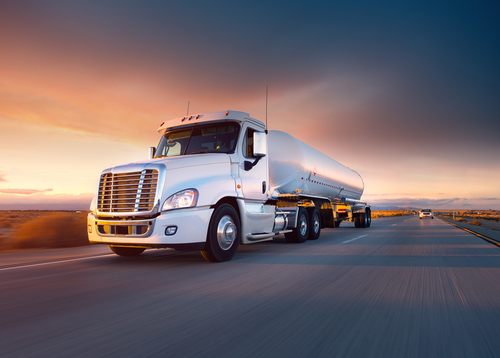 Another sign of stability for the trucking market is in the spot trucking market. Per load board operator DAT Solutions, year-over-year spot truck freight volumes went down 30%. And since August, spot truck volumes only increased from 6.7 loads per truck to 7.2 loads per truck. Industry analysts believe that these figures are not out of the ordinary, and are blessedly normal for an industry that has experienced significant upheaval in a short amount of time. Executive Vice President and Chief Financial Officer David Mee of J.B. Hunt said in an earnings callthat “the next four to six weeks up through Thanksgiving should be very normal.” Unlike last year, when the new ELD mandate was a significant factor in ballooning trucking costs, the industry believes that simple e-commerce will be the primary driving factor again for trucking costs. Of course, e-commerce is not going away, which is a significant factor in trucking and will continue to be a significant factor. According to Statista, annual holiday season e-commerce retail sales have grownin the United States by at least 12.9% each year since 2010. While holiday shopping year-over-year is increasing overall, e-commerce retailing is outpacing retail growth overall. Obviously, every packaged purchased online must go somewhere, and that higher demand drives up trucking prices. So yes, trucking prices are stabilizing from wild swings and external factor. But trucking prices will remain strong. Senior Freight Transportation and Logistics Analyst at Bloomberg Intelligence Lee Klaskow said about high prices that “it’s not a peak, but a plateau. The environment of higher rates for shippers is here to stay.” The real question is whether the stabilization is here to stay as well. For the end of the summer, at least, the answer to the question seems to be yes.